There are a lot of little tricks and secrets buried deep in Final Fantasy VII; in fact, we're not even going to guarantee that we have them all listed here yet. Here are some helpful or amusing secrets from the game, though, so see if you can learn anything new! When you're surprised in battle, your characters all turn their back on the enemies, until they're hit by them (and hit hard, by the way: you'll take twice the regular damage). An easy way to avoid that is to start running from the battle by holding the appropriate buttons and immediately stop; your characters will now be facing the enemies. What a cheap bug, to an extent - your rows will still be backward and will have to be changed one by one using the Change command to fix them. In battle, whenever a character has his or her current HP equal to 7777, he or she will enter in a "berserk mode" called the 7777 Fever. You will lose control over the character, and he or she will attack the enemy without letting it retaliate, never missing and always hitting for 7777 damage. And, it will do it multiple times: in fact, the character won't stop before 64 hits, which is enough to take care of most opponents. Take care though, because after the battle, the character in question will be dropped to 1 HP. YOU CAN ONLY DUPLICATE ITEMS USABLE IN BATTLE, AND ONLY IF YOU POSSESS AT LEAST ONE COPY OF IT. Whew, there. This means that no, you can't duplicate sources or armors, and no, when you've used your last Megalixir, you can't use this trick anymore to duplicate any from nothing. Don't say we didn't warn you. And now, for the trick itself. First, equip W-Item on a character. Then, point at the item, using the item menu in battle, that you want to duplicate. Press the OK button one time to select the item, another time to select the target for the first item, and then, when the item menu appears again, select another item. Now, instead of selecting the target for the second item, press the Cancel button. And then the OK button. And then the Cancel button. Each time you'll be cancelling, you will create one duplicate of the item you selected first. See how easy this is? You can duplicate all your battle-useful items in one battle if you feel like it. Besides the obvious uses (who needs Cure when 99 Megalixirs are available? ), consider also the money savings: no more buying Sylkis Greens from the Chocobo Sage. Instead, you'll be the one making money out of it, by selling them to the old fool 2,500 gils apiece (or to any store for that matter, but isn't it funnier this way?). And, how about the AP gain you can get by feeding every Magic Pot you encounter with an Elixir? During the course of the game, if you keep straight to the CoN walkthrough, you might miss a few opportunities to see extra scenes. One of them occurs in the Shinra building, so you can have access to it twice in the game. In the lobby's item shop, there are screens on the upper wall. If you go to them and press your Action button, you can view a Shinra advertisement for cars. You can even spot the car used in the motorcycle chase. 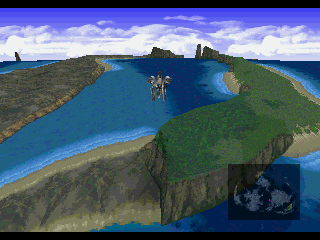 Another extra sequence can occur after the Lifestream events in Mideel, when you regain control of Cloud. If you go back to Nibelheim and enter the Shinra Mansion's basement, Cloud will have a flashback, and you'll get to see other elements from his troubled past. A third can take place after getting both Vincent and the submarine in disc two. If you take the submarine underwater, above the waterfall near Nibelheim, you can find a cave in which you can learn much more about Vincent's past (and come back later for some goodies, too). Returning to Midgar is possible, although your movements in the city itself will be limited to Sector 5. To achieve that, you first have to return to Midgar entrance, and speak to the man behind the fence: he will tell you about the key he lost. Then, head for Bone Village, and search for a "normal treasure". If you do it correctly, you will find the Key to Sector 5, and be able to return to Midgar. In the city itself, nothing has really changed. But you can now have access to Tifa's ultimate weapon, the Premium Heart. It is located in Wall Market, in the busted machine right at the center of the city itself. You also have the opportunity to buy the Sneak Glove from the owner of the weapon shop. If you don't want to start the chocobo sidequest right away, you can still get the Quadra Magic. It will be tricky though: you'll have to fly the Highwind near the cave, and position it like in the picture below. Then, hold the Switch button, and attempt to land. While the Highwind is landing, force its way to the right. If you're lucky, the airship will land on the good side of the hill, and you'll be able to walk your way to the materia cave. Sometimes you will get stuck between the airship and the hill itself: just get back on the airship, and start over. Turtle's Paradise is now having a publicity flyer campaign. They will be posted all over the world. So make sure you look for our flyers that say "Turtle's Paradise." There's six in all. If you find them all, make sure to let the owner of Turtle's Paradise know. You can win a prize! Just reading them's good enough, so please don't take them down or rip them up!!" Though you won't know about this sidequest until you're well into the thick of Disc 1, the pub in Wutai has a contest to see who can find all six of their Turtle's Paradise fliers that are scattered around the world. The Turtle's Paradise Flier's miniquest begins very early in the game, while you're in Midgar. This guide is here to help you know where you can find each of the six fliers before it's too late. The prize is a set of all six Sources along with a Megalixir. The first flier can be found in Midgar as you're making your way towards Aeris' house. In the Sector Five neighborhood, there is a house in the bottom-right hand corner with two stories. The flier is on the wall on the second story. The second flier is in the Shinra Headquarters, on a bulletin board on the first floor. Be warned that you can only collect this flier during the visit to the Shinra Headquarters -- if you miss this one, you can kiss the prize goodbye. The third flier is located in the Gold Saucer. Make your way to the Ghost Hotel, where it is hanging on a wall. The fourth and fifth fliers can both be found in Cosmo Canyon. The first one is on the wall at the Inn, and the second one is on the wall at the Weapons Shop. 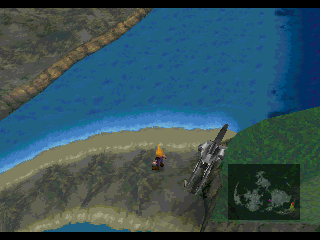 The sixth and final flier is in Wutai, so you can complete the sidequest right as you first discover it. During or after the Wutai materia sidequest, the house on top of the hill becomes available. The flier is downstairs on the wall, before you enter the room. Note that this flier cannot be obtained without starting or completing that sidequest.